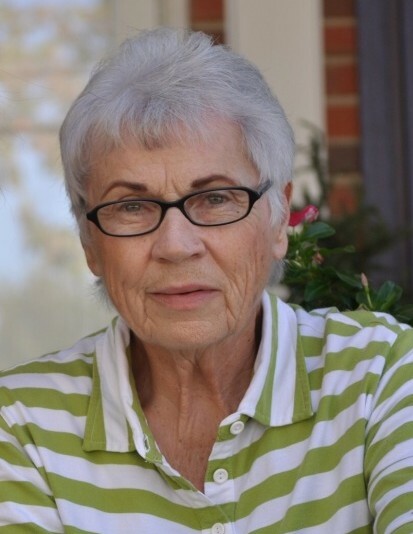 Lessie “Jean” Hobbs, 79, of Bunnlevel, NC passed away unexpectedly at her home on Wednesday, October 10, 2018. She was born and raised in Bunnlevel, NC, graduated from Lillington High School and attended Campbell University. She was an underwriter and insurance agent for the North Carolina Farm Bureau for more than 25 years. Jean was an excellent cook. She had a passion for cooking and entertaining. She loved hosting friends and family for various holidays and Sunday dinners. She also loved tending to her home, her garden, and her beloved dogs. She was a lifelong member of Bunnlevel Presbyterian Church and enjoyed attending the Women’s Bible Study. She had an infectious laugh, a brilliant spirit, and a steadfast care and commitment to her friends and loved ones. She is survived by beloved friend and “sister”, Sherlyn Harrell; sister-in-law Jane H. Hobbs, both of Bunnlevel, NC. She is also survived by several nieces, nephews, and great-nieces and nephews. She was preceded in death by her parents, Marvin C. and Mattie B. Hobbs; brothers Curtis and Rodney C. Hobbs; and sister-in-law Lorraine B. Hobbs, all of Bunnlevel, N.C.
Jean was a one-of-a-kind aunt, daughter, sister, and friend. She touched the lives of everyone she met. We love her so much. We are so grateful for our time on Earth with her and we rejoice that she is at peace in the arms of our Heavenly Father. Our hearts will continue to be filled by her precious and loving spirit. Funeral services will be held at Bunnlevel Presbyterian Church on Saturday, October 13, 2018 at 3:00 PM. Family visitation will be held at the church from 1:00-2:30 PM, prior to the service. Memorial contributions can be made to the Bunnlevel Ruritans Cemetery Fund, PO Box 150, Bunnlevel NC 28323 or Bunnlevel Presbyterian Church, 6417 US Highway401 S, Bunnlevel, NC 28323.